After Dillon had an epileptic seizure at the age of five, his mum was told he would never walk again. Dillon hasn’t taken a step for more than 20 years. But now, at the age of 26, that has all changed! 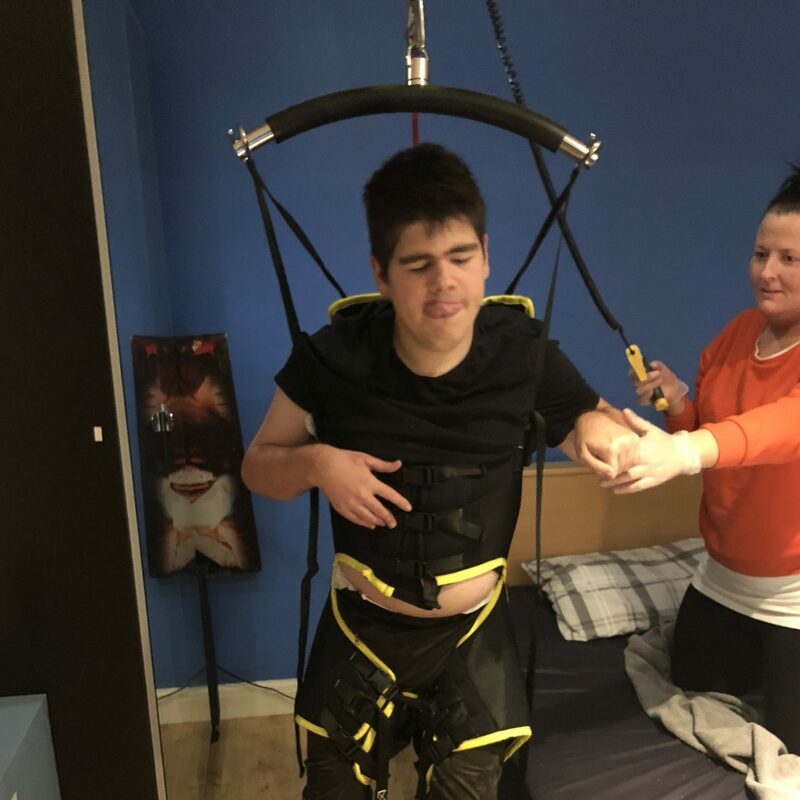 Nottingham Supported Living Service support worker Abi Gascoigne said: “We were looking at ways to improve Dillon’s mobility. 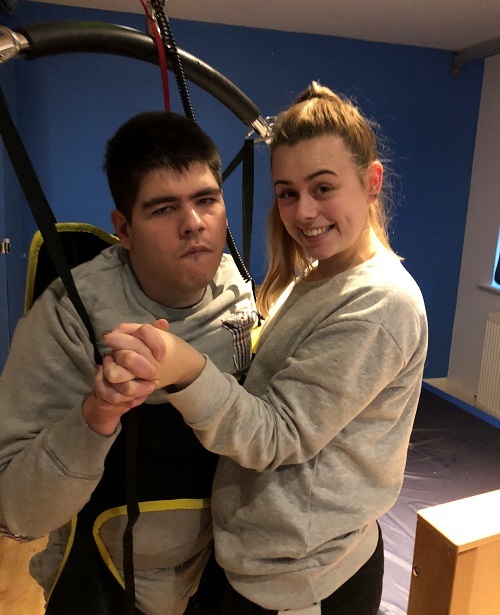 We have another resident Cathryn, who uses a walking jacket (a supportive harness), so we asked the local physiotherapy team whether we could have one for Dillon. 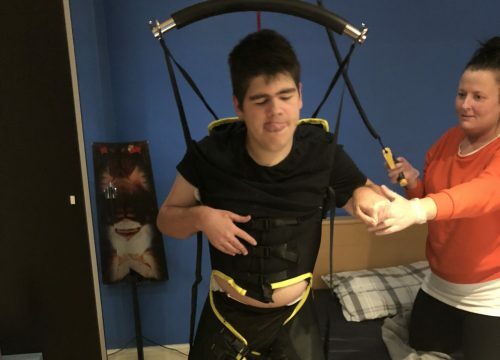 We thought it would help him build up his muscle strength and become more mobile. But we never expected that he would achieve so much. “Dillon got his walking jacket in November and was frightened at first, so we started slowly, reassuring him, building his trust until he felt ready to put the jacket on. Then we supported him to sit up on the side of his bed, so he could get used to it. He was wary about standing, but after a couple of weeks, he’d gained enough confidence to try it.